At Boardwalk Realty & Management relationships are important to us. We partner with only the most qualified Realtors and Real Estate Agents as part of a best-in-class, mutually beneficial Agent referral program. Qualified agents can earn commission when their clients sign up for our management services. We understand the value of communication and protecting the rapport that you have created with your clients over the years. That is why we developed our agent referral program to let you as a REALTOR focus on sales and rest assured that your clients have the care and support they need and deserve. According to the National Association of Realtors, 25 percent of all home sales are now investor transactions. Partner with us and take advantage of our Property Management expertise and tools in identifying properties that will be good investments for your clients. Boardwalk has recently developed a referral program for real estate agents that allows qualified agents to refer their investor clients to our proven property management services. Agents can earn commission through referrals, and receive up to $400 for each client that signs up. It’s a new revenue stream, and one that requires very little time and effort. 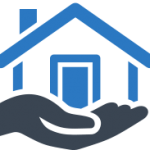 We will professionally manage and nurture your client’s investment property and when they are interested in selling or decide to buy another income property, we will put them back in touch with you. Ever wonder what to do with those buyer clients that just aren’t ready to buy? Bring them to Boardwalk to rent a property. We report on-time rent payments as a positive credit line which allows them to build their credit while they rent. And when they are ready to buy, we will refer them back to you. What can be better than that? Sending a referral to a property manager doesn’t need to mean kissing future sales goodbye. Let us handle the management for your clients and we’ll refer all sales of the property back to you. Don’t provide a bad referral to a customer and risk losing them for good. Instead, work with a proven property management team who will reflect positively on your recommendation by keeping the client satisfied. To extend our appreciation to you, we offer a rental property referral program with competitive referral fees! There is no limit to the referral fees you can earn. 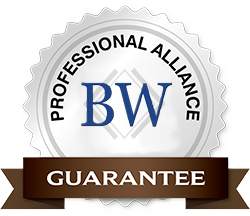 We at Boardwalk Property Management appreciate all business opportunities from all sources Real estate Brokers, Real estate Agents, Referral Agents, Residential and Commercial Property Managers. If you know of any owners in need of our Professional Property Management Services OR families looking for good rental homes and you have a real estate license (anywhere) we will be most happy to pay you a property management referral fee. Please complete the referral form below . We will acknowledge receipt and make immediate contact with your referral prospect. Enter your referral here and we will get right to work on it! We will send you updates as the relationship progresses. Most Brokers manage rentals because they feel they must in order to get repeat listing and sales from their clients. They must provide full service for their clients and their customers. Now you don’t. We will take over your inventory of rentals, pay you a referral fee, give your clients and customers great management service, and when your owner/client is ready to sell, you will get the property back to you to list and sell. We have done this for other brokers and agents and it works great for the both of us. It really is a win, win. TIRED OF THE MANAGEMENT HASSELL? WE WILL BUY YOUR MANAGEMENT ACCOUNTS. Tired of the mid-night calls, days in court, want to get out of property management all together? We have bought property management accounts from other property managers and brokers. We have the formulas and plan to make the transition effortless. Any inquiry or discussion will be kept in the strictest confidence. All parties involved will sign a confidentially agreement. This is to protect our current and future business relationship.